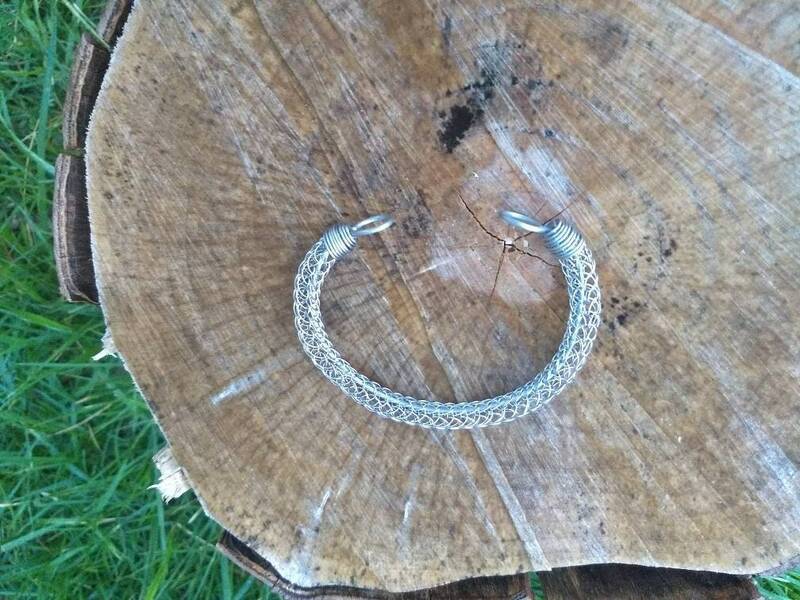 Made with over 15' of stainless steel wire this viking knit arm ring is perfect for anyone. 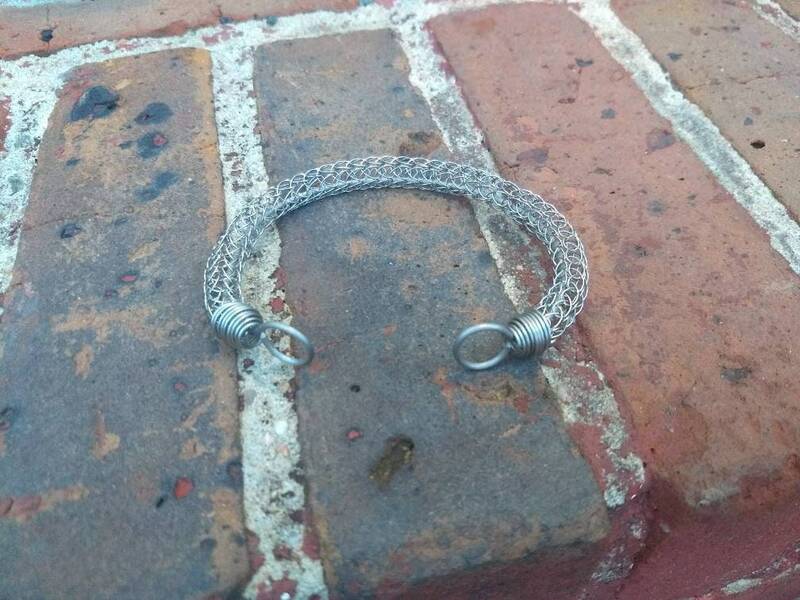 At approximately 1/2" think the viking knit is securely attached with handmade stainless steel end caps and threaded over a solid 14 gauge wire to provide a sturdy, yet flexible core so you can easily fit it to most size wrists. 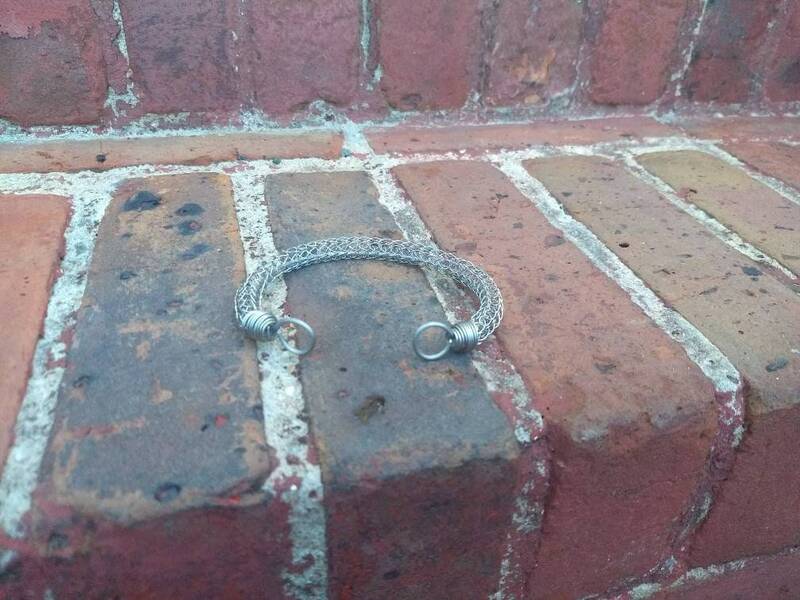 The full length of the bracelet, including end terminals, is 8.5 inches. 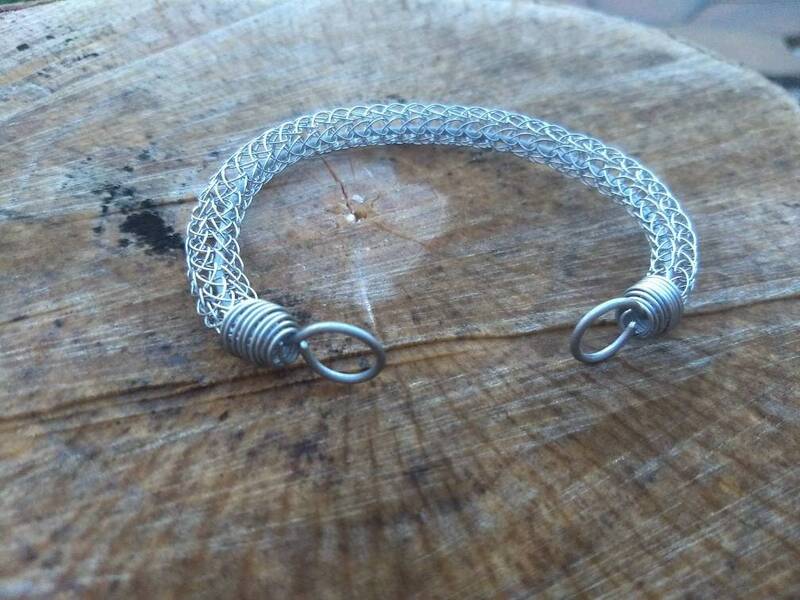 All of my Viking knit jewelry is made in a historically accurate way by taking long pieces of wire and "knitting" them round a dowel to form a tube, then pulling the tube through a draw plate to the desired diameter. 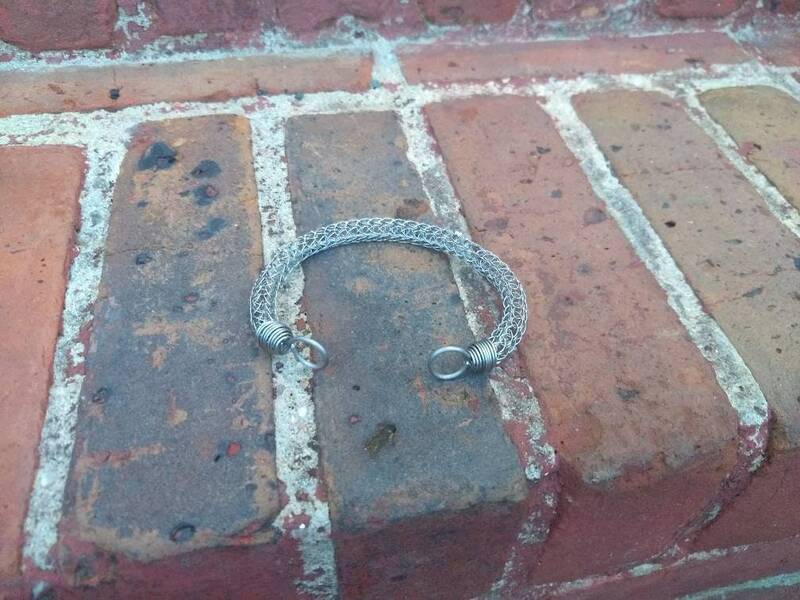 Viking knit, also know as Trichinopoly Chain, was most popular during the late 9th and early 10th centuries which is why it is know as Viking knit. 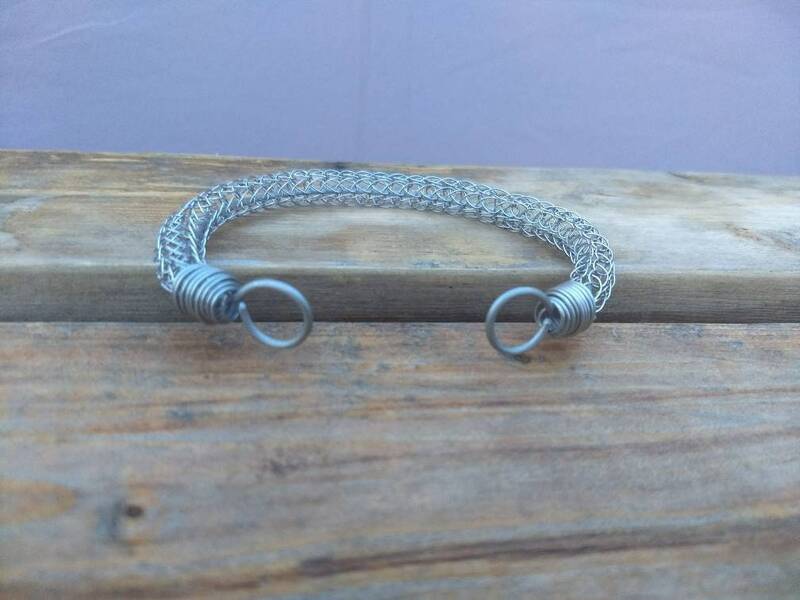 Each piece is handmade with no modern fastenings or end caps. 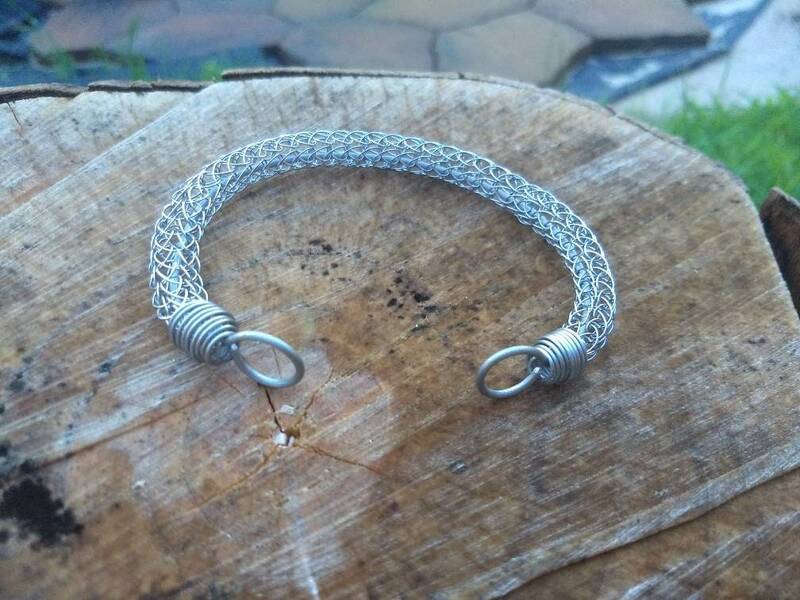 Each bracelet uses approximately 15-20' of wire and each necklace uses 25-30+' of wire. I can make these pieces in raw copper, oxidized copper, brass, stainless steel, or sterling silver.